A net-zero home reimagines the house not as a burden on the planet but as a regenerative node. Net-zero homes only started being seriously considered about a decade ago, but once proven, the idea took off. American poet, philosopher and naturalist Henry David Thoreau once wrote "What is the use of a house if you haven't got a tolerable planet to put it on?" A net-zero home reimagines the house not as a burden on the planet but as a regenerative node. Thoreau and his time at Walden Pond happened well before the modern spectre of climate change, but he was a naturalist and keenly attuned to what was going on around him. Ever since the energy crisis of the 1970s the idea of going being energy self-sufficient has preoccupied the creative minds of people, who like Thoreau, wanted to be self-reliant. Net-zero homes only started being seriously considered about a decade ago, but once proven, the idea took off. And now at least one mainstream homebuilder in Edmonton, Alberta is pledging that every home it builds will be net-zero by 2015. Why go net-zero? 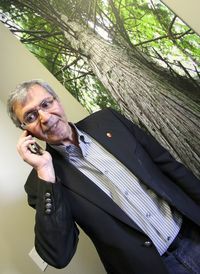 "Because we believe very strongly in the future of our children and sustainability is probably the most important thing today in our lives and we really have to protect the Earth for our new generation," says Nasseri who says climate change is the evil we have to deal with, plain and simple. Reza Nasseri, the CEO of Landmark Homes, a company that builds more than 800 homes a year, set that big hairy audacious goal. Unlike Thoreau, who chose to earn his insights through a prolonged experience at Walden Pond, Nasseri decide he would make a difference by applying his engineering knowledge and attempting to take his homebuilding company in a radical new direction. Nasseri first changed the way Landmark built homes by moving new construction into an automated factory that helped Landmark dramatically reduce waste, increase efficiency, save tons of energy and reduce carbon pollution by 10-12 tonnes for every home they build. This process is called panelization. You build the walls and other building components in the controlled environment of the factory and then assemble them on site. This method of construction saves money. Building homes in a factory increases precision and makes it easier and more affordable to use energy saving features such as spray foam insulation. That, combined with triple-paned windows, heat recovery ventilators, and insulated basement walls "Helps us build that building envelope to achieve less than one air exchange per hour," says Bijan Mannani, the chief operating officer of Landmark. They also improved the energy performance of all aspects of the home, always with an eye on the cost-benefits of each feature. Energy Star appliances, compact fluorescent and LED bulbs, programmable thermostats and high efficiency water heaters helped get their standard new home specification up to Energuide 82-83. Landmark is already building net-zero homes. They've built 18 fully net-zero homes with a passel more under construction or being planned out. 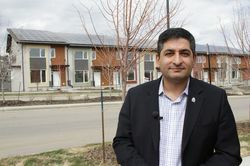 The Sparrow Landing 14-unit townhouse project at Larch Park in Edmonton, is the first net-zero townhouse project in Alberta. To their already efficient standard home specification Landmark added 2x8 walls, more spray foam insulation, an efficient electric hot water heater and electric baseboard heaters, all powered by a grid-tied 10-kilowatt solar PV system. It costs $7,800 more to make these 1,724 square foot townhomes net-zero ready. At only $3/watt installed it costs another $30,000 to put in a solar system and get all the way to net-zero. The total additional cost: $37,800. This means no gas bill and most of your electricity bill is covered for the next 25-30 years. It costs a little more, for an end unit, which has more exterior walls and insulation. 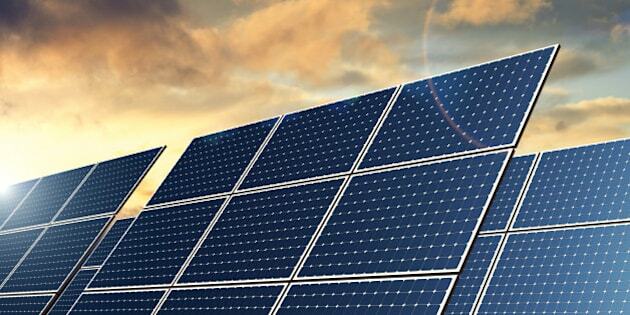 This is a breakthrough in terms of the economics of net-zero and solar energy and it helps Landmark get ever closer to their goal of building all new homes net-zero by 2015. It's been less than 10 years since a team of 45 professionals collaborated to build Riverdale, the first net-zero home in Edmonton. Now you can get a custom net-zero home from a variety of builders and Landmark is making the construction of super energy efficient homes routine. But with a company of Landmark's size, scale and clout committing to building net-zero homes you have to wonder how long it will take until this kind of thing becomes business as usual. Net-zero homes - energy to spare!